A step-by-step guide to meeting education challenges and improving outcomes for children and youth in foster care and on probation is now available for California schools. The Foster Youth Education Toolkit is designed to assist school districts in meeting the promise of the Local Control Funding Formula (LCFF), ensuring foster youth receive the full benefits of laws designed to protect them. 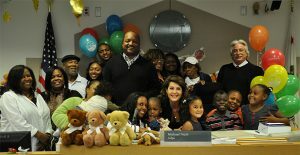 LCFF marks the first time any state has included foster youth in its school accountability and funding systems, and focuses much needed attention on improving education outcomes of foster youth. 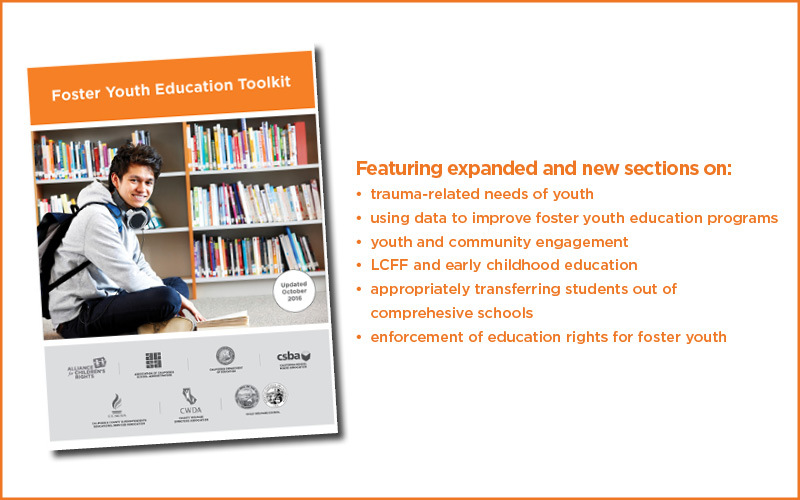 The Toolkit provides comprehensive information on the education rights of foster youth along with step-by-step procedures and easy-to-use implementation tools to help districts engage in best practices and write thoughtful and effective Local Control Accountability Plans for educating foster youth. The toolkit covers Education Rights Holders, School Stability, Immediate Enrollment, California’s Partial Credit Model Policy, AB 167/216 Graduation, Trauma, and AB 379 Uniform Complaints, among many other topics. You can also view our series of recorded webinars on the Toolkit. This Companion to the Foster Youth Education Toolkit is designed to assist Education Rights Holders, Social Workers, Probation Officers, Attorneys for Youth, Attorneys for Parents, Attorneys for County Placing Agencies, and Judges protect the education rights of foster and probation youth. The Court Companion to the Foster Youth Education Toolkit includes checklists for each of these parties, which gather all the best practices on key education topics that impact youth in care into role-specific reference tools, featuring sample minute order language for judges and sample court report language for social workers and probation officers. 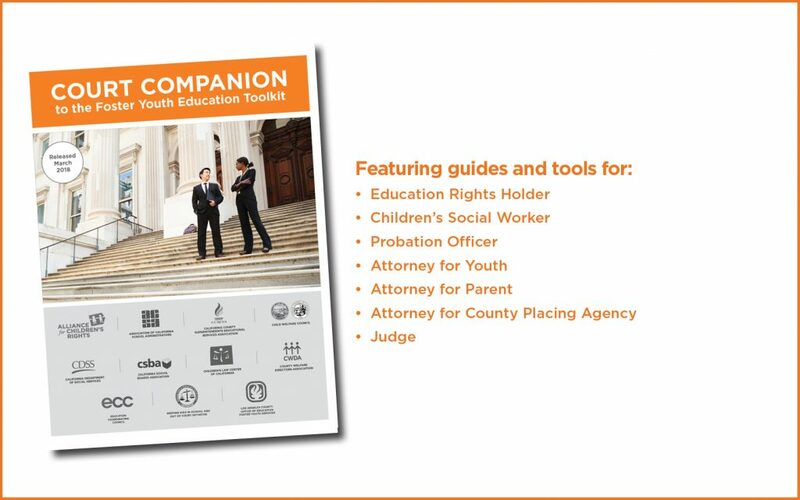 The Court Companion follows the same model as the original toolkit, offering comprehensive information on the education rights of foster/probation youth along with step-by-step procedures and easy-to-use implementation tools. As the model for what became the Toolkit, the Alliance worked collaboratively with partners across the state to help create California’s Partial Credit Model Policy, based in large part upon feedback we received from youth.